Any incident or pattern of incidents of controlling, coercive, threatening behaviour, violence or abuse between those aged 16 or over who are, or have been, intimate partners or family members regardless of gender or sexuality. Many people think that domestic abuse is about intimate partners, but it is clear that other family members are included and that much safeguarding work that occurs at home, is in fact concerned with domestic abuse. There is evidence of potential domestic abuse within a household, is it significant? The purpose of the Dash risk checklist is to give a consistent and simple tool for practitioners who work with adult victims of domestic abuse in order to help them identify those who are at high risk of harm and whose cases should be referred to a Multi-Agency Risk Assessment Conference (MARAC) meeting in order to manage their risk. The score provides evidence required to refer to Family Safety Unit. A MARAC is a multi-agency meeting which has the safety of high risk victims of domestic abuse as its focus. It involves the participation of all the key statutory and voluntary agencies who may be involved in supporting a person experiencing domestic abuse. Support is most frequently provided by the Independent Domestic Violence Advocate (IDVA) based within the Family Safety Unit. The IDVA is a specialist advisor who has received accredited training to work with high risk victims of domestic abuse from the point of crisis. The MARAC will identify “high risk” victims/survivors of domestic violence, and will offer professional support and guidance, which will reduce the threat of further harm and repeated domestic violence to the victim/survivor and their immediate family members. Referral – All partner agencies have a designated point of contact for the MARAC. Where domestic abuse is disclosed or suspected the point of contact in each agency will follow the Domestic Abuse referral pathway to ensure appropriate action is taken to safeguard individuals and refer into MARAC. To help generate discussion and action on this important issue, this year’s annual report of the Director of Public Health is accompanied by a short film which shares first-hand accounts of domestic abuse, its affect and how, with the right support, safe solutions can be found. Local and national sources of further help and information are provided at the end of the report. The Wirral Compendium of Statistics 2016 is also now available. This provides a snapshot of the issues affecting people in Wirral, including the latest data on domestic abuse. Wirral Council are using their social media channels to raise awareness of this important issue, please share our tweets and facebook posts where possible. Please share the report and film to prompt both interest and discussion to ensure we all do what we can to prevent domestic abuse and, where it is happening, help people to access support that is right for them. Safe Lives are a national charity dedicated to ending domestic abuse, for good. They combine insight from services, survivors and statistics to support people to become safe, well and rebuild their lives. Since 2005, SafeLives has worked with organisations across the country to transform the response to domestic abuse, with over 60,000 victims at highest risk of murder or serious harm now receiving co-ordinated support annually. No one should live in fear. It is not acceptable, not inevitable, and together – we can make it stop. Every year, nearly two million people experience domestic abuse. For every person being abused, there is someone else responsible for that abuse: the perpetrator. All too often, children are in the home and living with the impact. Domestic abuse affects us all; it thrives on being hidden behind closed doors. We must make it everybody’s business. A support worker has been appointed by Aberystwyth University to find out about domestic violence against the over 60s. The worker will spend up to 18 months working with older people who are victims of abuse in the home. According to the Dewis Choice project looking at the issue, more than 39,000 people over 60 suffer domestic abuse in Wales. A second worker will be appointed in Carmarthenshire in January. 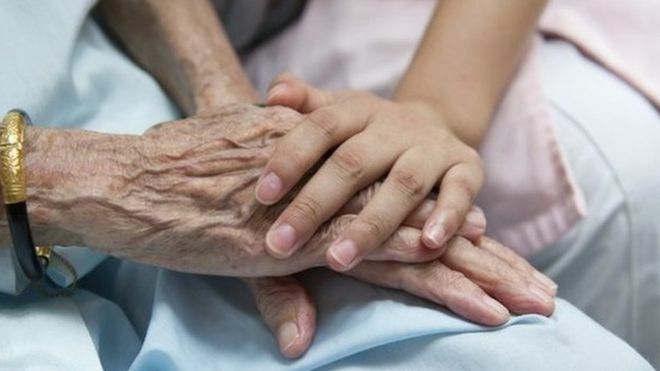 A research team in Aberystwyth will use the real-life case histories developed by the project’s support workers as the basis for a major report on elder abuse in Wales. The report’s findings and recommendations will be presented to the Welsh Government when the project ends in 2018. The number of domestic abuse cases involving older people has increased, according to figures released by a police force. 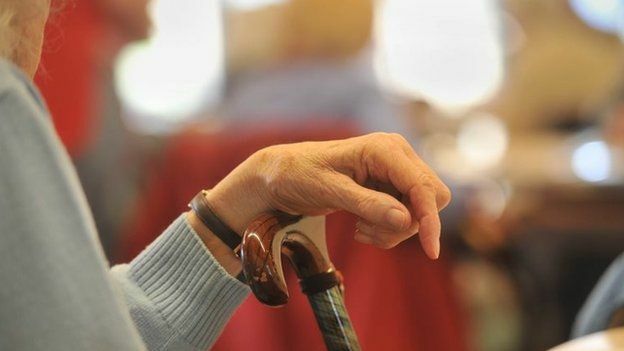 Essex Police said the number of such offences detected in over-65s had doubled since 2010. Authorities in the county were criticised for their handling of a case, in which an 81-year-old died in a “domestic incident”. Essex Police’s figures show the number of cases of domestic abuse it handles where the victim is over 65 went up from 85 in 2009/10, to 177 in the 12 months to April. But experts believe the prevalence of domestic violence among the elderly is higher than reported. Janet Dalrymple, the chief executive officer of domestic abuse charity Safer Places, based in Essex and Hertfordshire, said older victims tend to come forward less often. “I think it’s because of social conditioning, or when they were younger and they got married, it was accepted that you made your bed and had to lie in it,” she said. The issue was brought into the spotlight following the death of 81-year-old Mary Russell, from Leigh-on-Sea, Essex. She reported being abused by her husband and died following a “domestic-related” incident in 2010, suffering a bleed to the brain. An investigation into her death revealed gaps in the understanding of domestic abuse in old age, experts said.